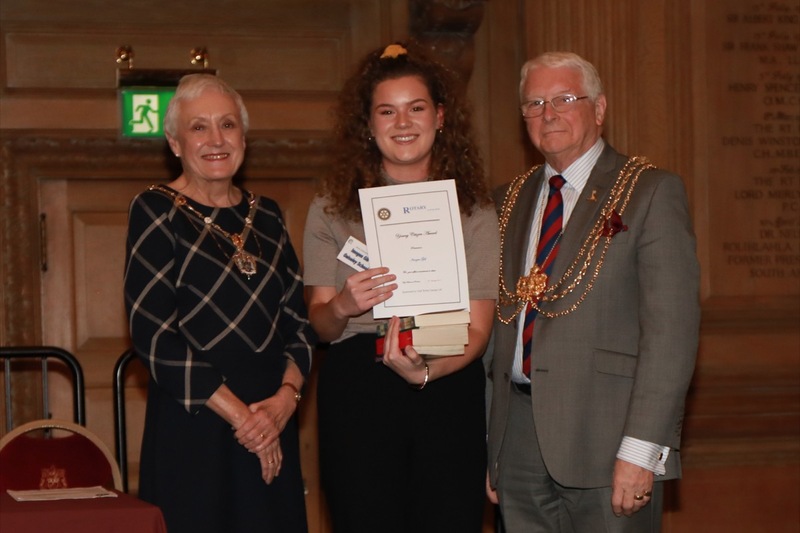 Rotary Leeds makes awards to outstanding young people from schools and youth organisations in the district who give exceptional service to their community. 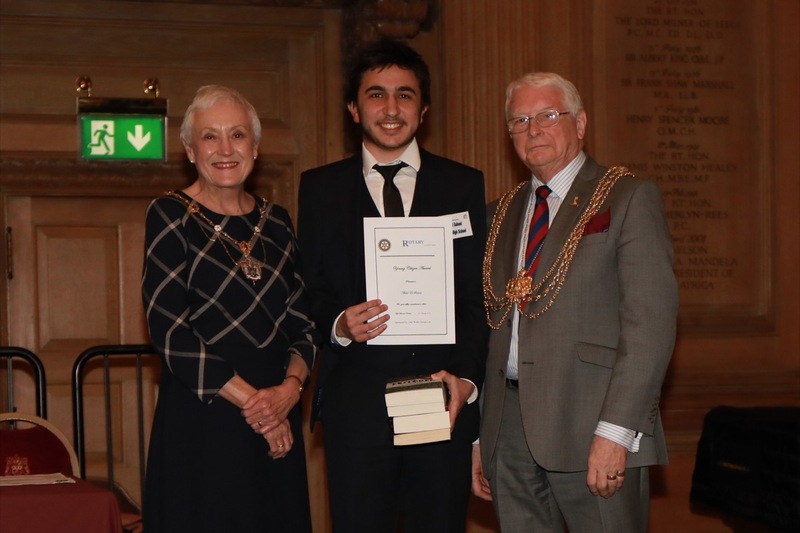 For his determination to make a difference to those around him, acting as a mentor in school and as a tutor for refugee asylum seekers. For running all school fundraising with Ben Elton, with a busy programme of up to five events a week, including themselves sponsoring a child through Compassion UK. 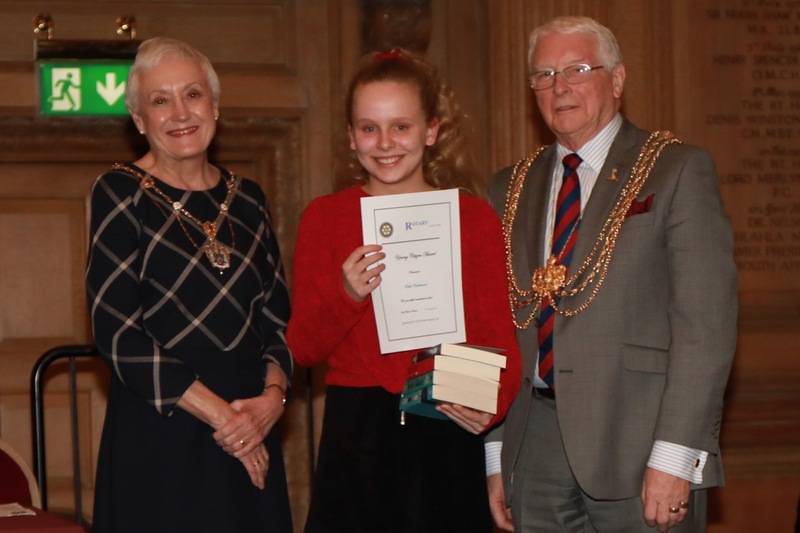 For serving as house captain, restorative practice rep, member of the drama club, member of school council, air cadet, Jane Tomlinson run supporter, St Gemma's volunteer etc. 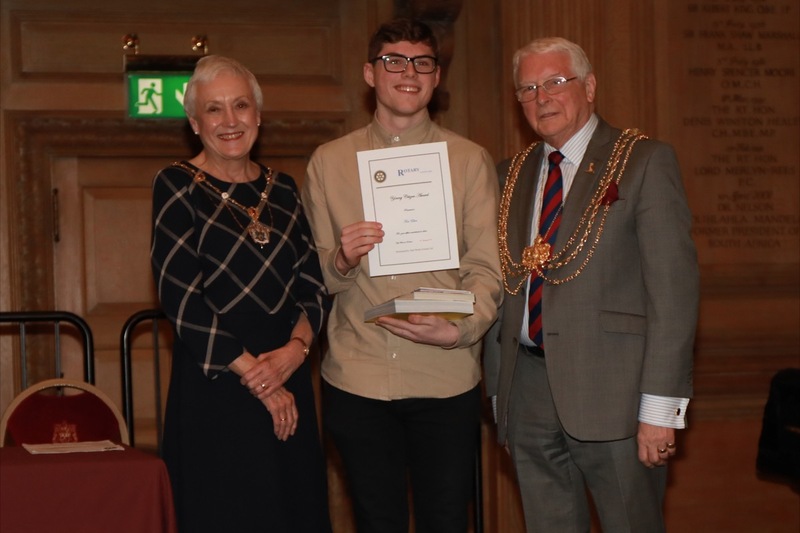 For working with a Leeds charity to meet the social, emotional and mental health of young people, not hesitating to voice his honest opinions in SHOUT consultation exercises. 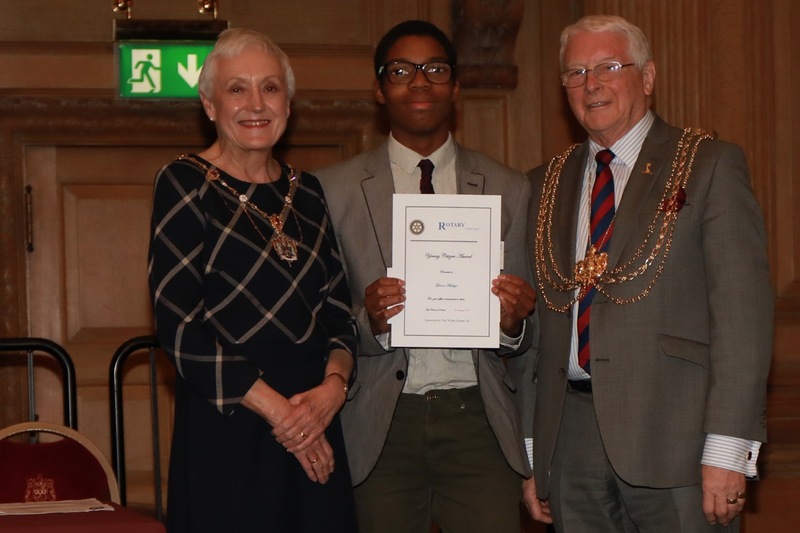 For working to meet the social, emotional and mental health of young people, and professional input to recruitment interviews with useful feedback to management. For his work as a buddy and consistent empathy with newly arrived new to English students, interpreting and helping staff, and now training new buddies. 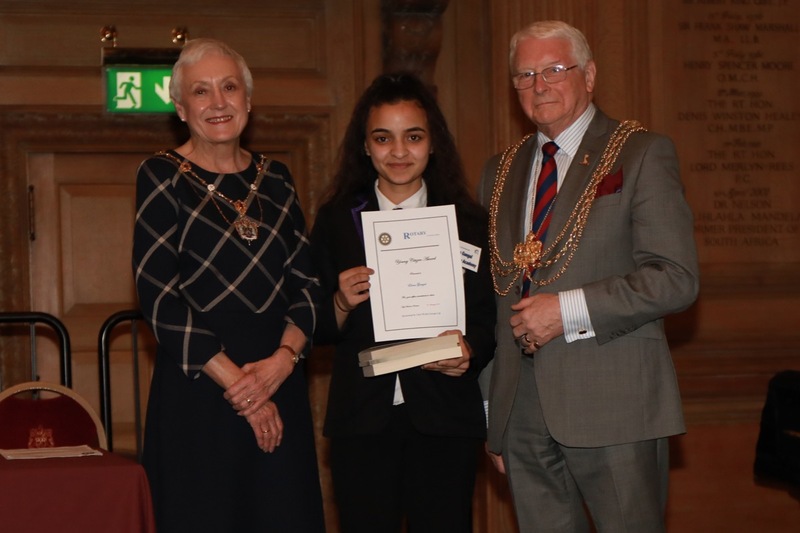 For her work with the SHOUT consultation initiative to improve services for young people in Leeds and her invaluable input into the group and its projects. 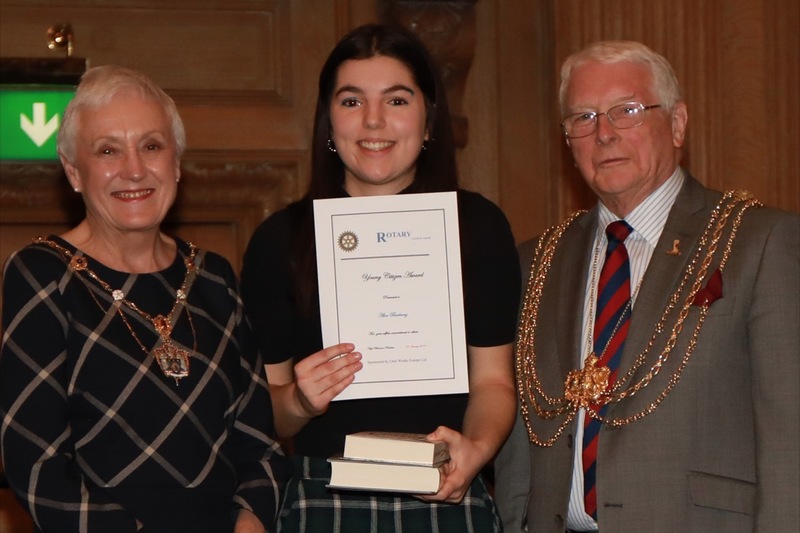 For her work in helping to set up a charity following the death of her brother in a rugby accident, and involvement in numerous fund-raising projects. For being house captain, member of school council, work in restorative practice, and involvement in sport and charitable activities. 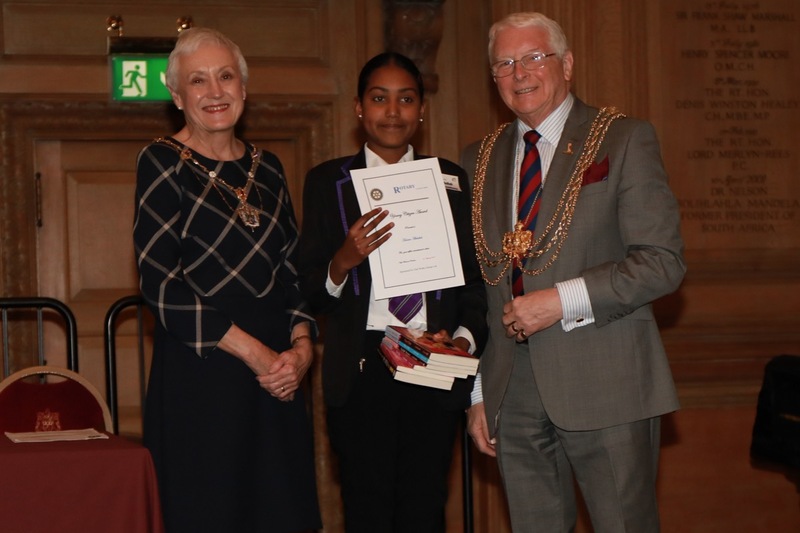 For her involvement in Community Action to Change Harehills to engage and help young people in the area. 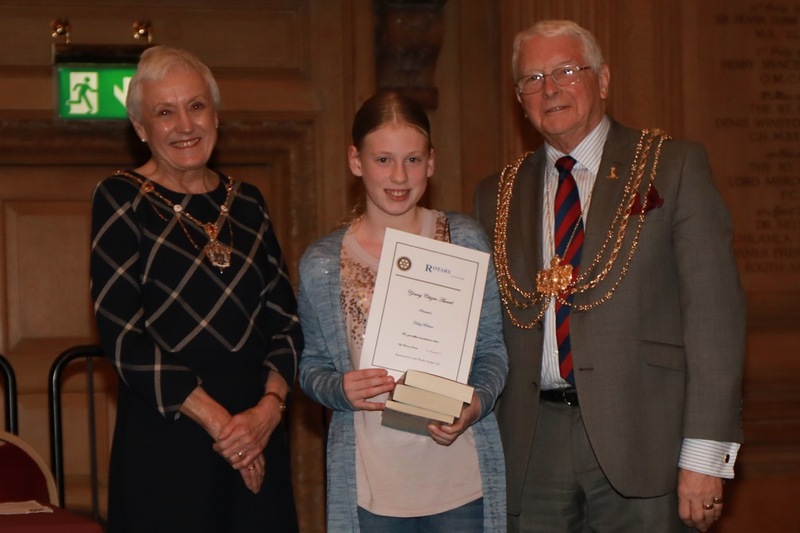 For her work as a carer in her family and support at her local dance school, all the while maintaining 100% school attendance and a cheerful outlook. 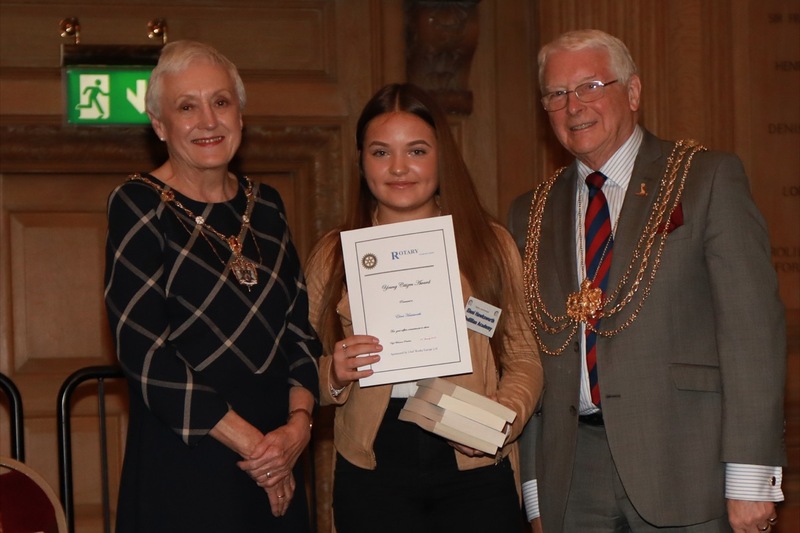 For her work as a buddy and supporting vulnerable new students and championing their needs, acting as interpreter both in school and at parent consultation evenings. 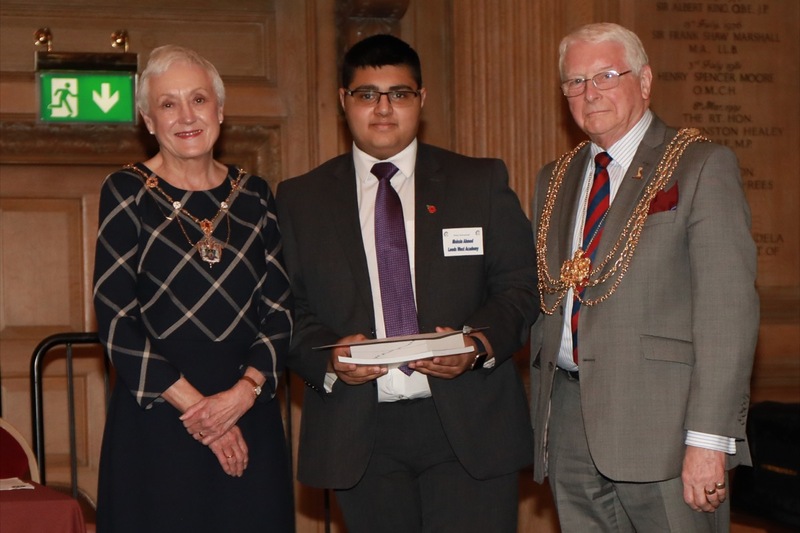 For acting as a role model to peers and younger students, organising school charity events and mentoring younger disadvantaged students. 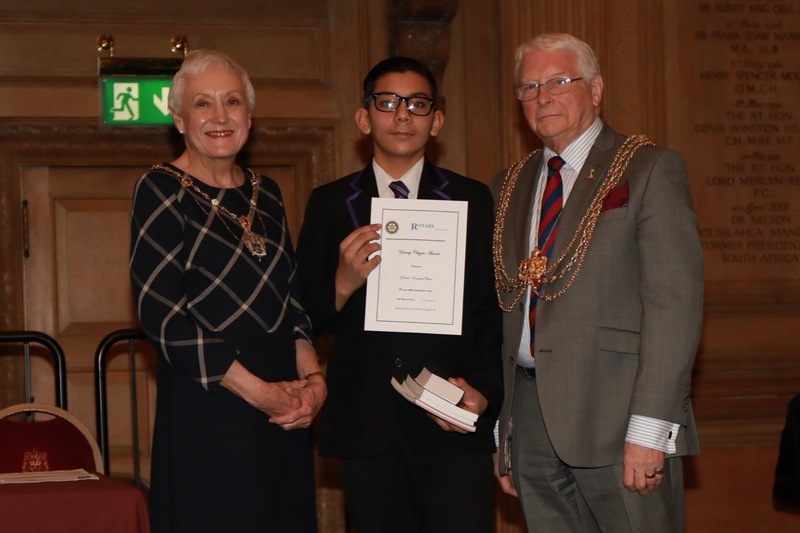 For his work in media - posters, websites, photography - helping both teachers and students, raising money for charity, campaigning against bullying and help at local chapel. 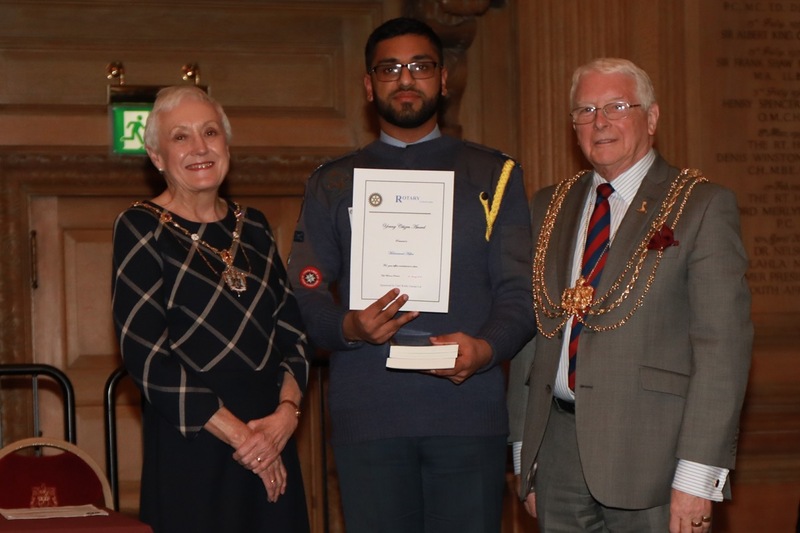 For involvement as an Air Cadet, gaining qualifications enhancing opportunities open to other young people, and supporting them with training. For involvement with Army and Police Cadets, St John Ambulance, and Leeds Youth Council , and promoting events at school . 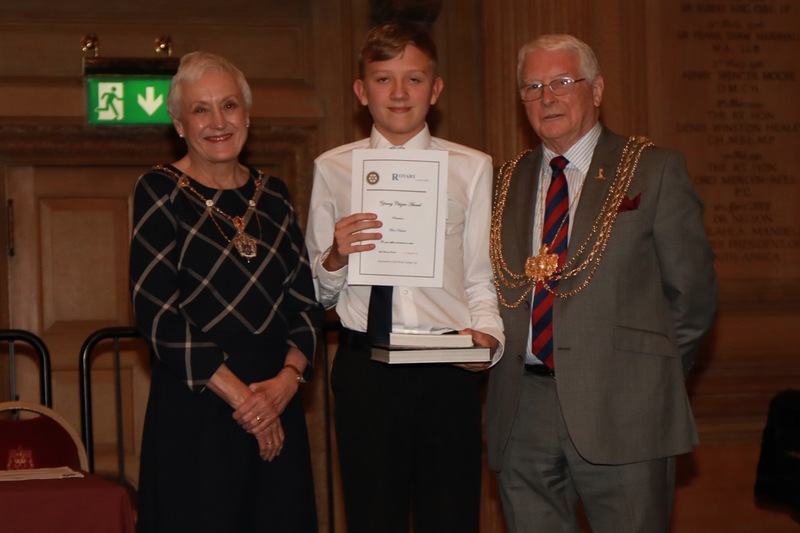 For representing your people at Explorers, attending meetings for Child Friendly Leeds and Leeds Youth Council, and helping with parents' evenings and open days at school. 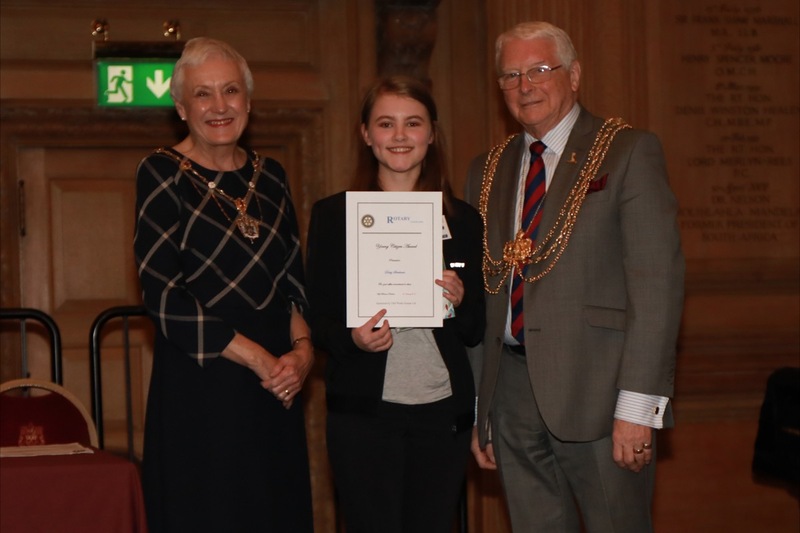 For running all school fundraising with Alice Burberry, with a busy programme of up to five events a week, including themselves sponsoring a child through Compassion UK. 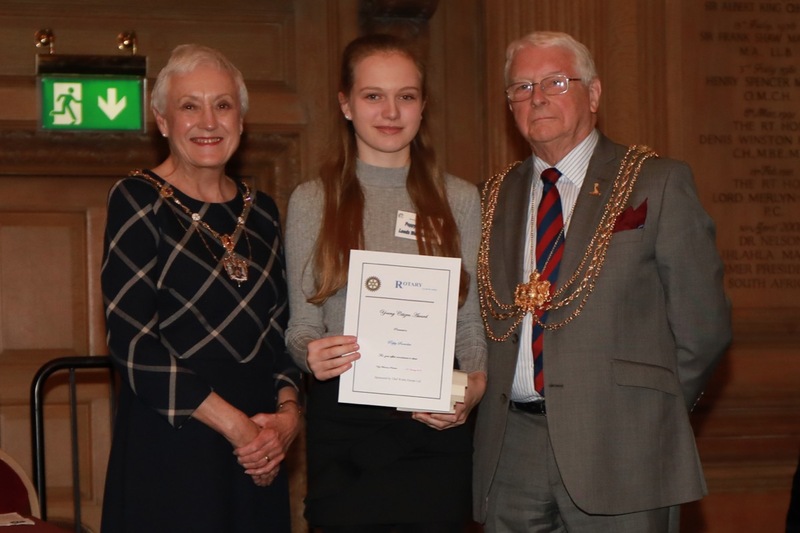 On Monday 21 January Rotary Leeds presented Young Citizen awards to young people from schools, colleges, academies and youth organisations in Leeds. 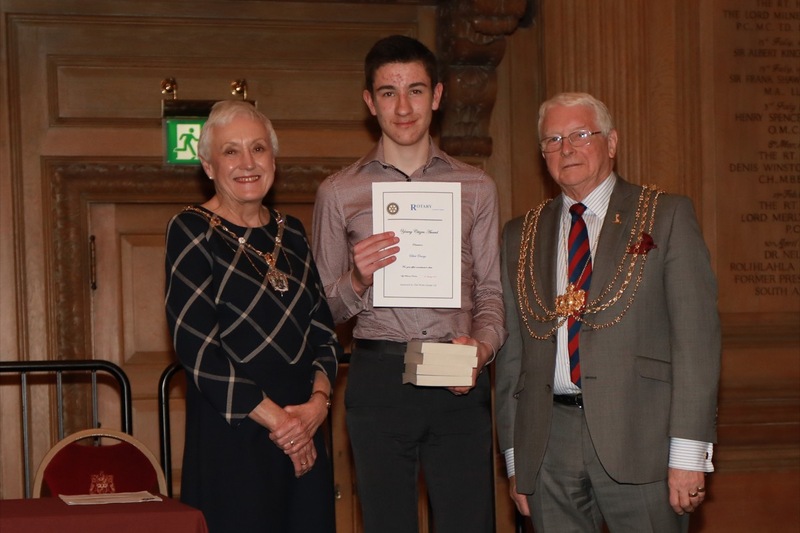 The awardees were given certificates by the Lord Mayor, Cllr Graham Latty, and the Lady Mayoress, Cllr Pat Latty, and books donated by our sponsor Chef Works Europe Ltd. 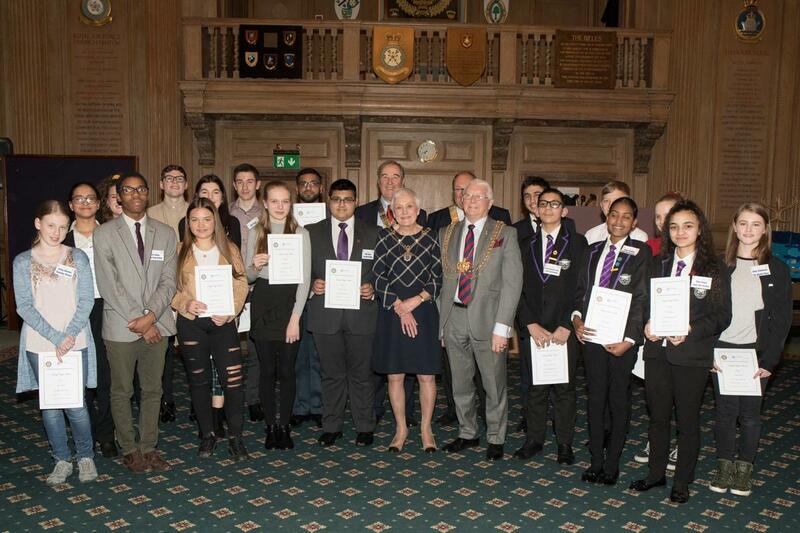 These young people had shown us all shining examples of what young people of today are doing for their families, schools, fellow students and communities. The audience were amazed by the array of activities in which the youngsters were involved, in addition to all their exams, homework and participation in sports and school and college activities. See the photos for brief details. These are just a few examples of the great enterprise and commitment shown by our young people. 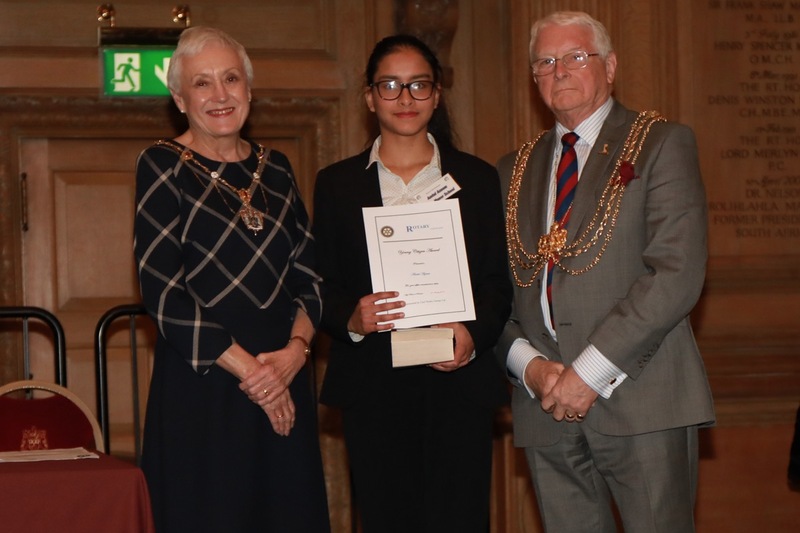 There are a lot of great youngsters out there doing tremendous work for their schools, colleges, academies and communities and they are our future.